Metroid Evolved, the ultimate process of the evolution of the Metroids. It has everything you could imagine.Only the best of the Hunters will reap it's rewards.Only the strongest and smartest will survive, Metroid Evolved. !! !Sign up for the boards, please!!! Warning Ceres Station is under attack! !!! !Online since June 10, 2002!!!! Updates will appear when done loading. and post, there free after all. The insidious Metroids, lumbering, floating monstrasities.Their power,..is astounding.They can drain the life from an organisim in mere seconds! The are amazingly resilent to damage, they can withstand bombardment with missiles, beams, and the like.How can the all be killed.They are reproducing! I suggest you check outThe Illusion Database. Check out our new Chozo Profile. This will help us solve the mystery of the great Chozo. 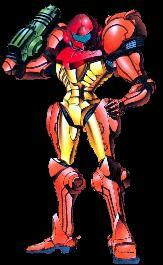 Samus, an interstellar bounty hunter. Commisioned by The Galatic Federation to help assualt the Space Pirate fortress on the planet Zebes. While the operations were greater than any could imagine, no could know just what they were really doing. 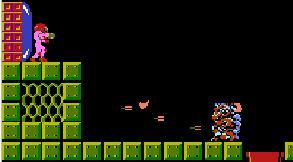 Samus, without haste, flew off to Zebes, to only relize, that it would be harder than she would ever imagine! adventure at Metroid III Offical.